Paddy’s might be Australia’s oldest continuous market, with its roots tracing back to 1834. 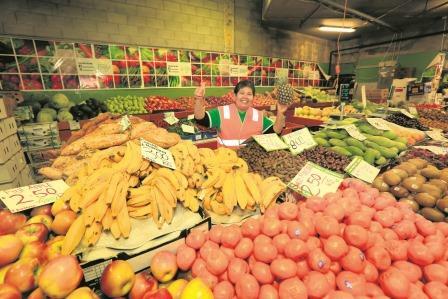 It’s definitely one of Sydney’s favourite markets. Inside a warehoue-like building in Haymarket, is a bargain bazaar that sells everything from fresh flowers and vegetables to electronics, toys and gizmos to shoes and clothing to everything else you need and plenty of stuff you don’t. Walking up and down the grid of pathways between the stalls is a shopping adventure that can yield amazing finds. Eventually you work out how to dress and undress discretely in the cramped space behind a flimsy curtain that is a makeshift dressing room. It’s worth the effort for the price – and once you know your size you can buy one in each colour. There are food trucks and snack stalls so you can replenish your energy levels and perservere through the rows. They’re open from Wednesday to Sunday and the Light Rail stops right outside.